Share the post "Dr. Bruce McLucas on The Doctors January 5"
Bruce McLucas M.D. 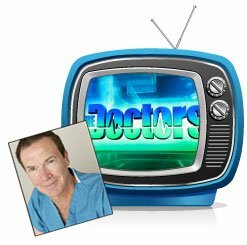 will be featured on national hit TV show “The Doctors” January 5th. The segment will feature a live embolization procedure and In-Studio interview. Bruce McLucas, M.D., founder of the Fibroid Treatment Collective and pioneer of a non-surgical fibroid treatment option called uterine artery embolization (UAE), is featured on the EMMY award winning series “The Doctors” on January 5th. The segment includes a live embolization filmed at St. Vincent’s Medical Center in Los Angeles, followed by an in-studio discussion with Dr. McLucas about the procedure’s merits over a hysterectomy. “This is an extraordinarily influential show, seen by more than 14 million people weekly,” said Dr. McLucas. “‘The Doctors’ is performing a real public service for its female audience by connecting them with information about embolization that will save a lot of women from unnecessary surgery, major costs and a long recovery.” He added that roughly 40 percent of all women in America will experience uterine fibroids, with the highest incidence occurring in the African American community. Such a widespread health issue makes awareness of treatment options vital. Embolization was introduced to America by Dr. McLucas in 1994. He has personally performed over 1,000 procedures and continues to spread the benefits of this treatment by instructing physicians all over the world. Dr. McLucas has a career-long interest in minimally invasive therapy, serving as president and charter member of the Society for Minimally Invasive Therapy. Currently a Los Angeles-based OB-GYN who practices at Ronald Reagan UCLA Medical Center, the doctor also serves as an Assistant Clinical Professor in the Department of Obstetrics and Gynecology at the David Geffen School of Medicine at UCLA. 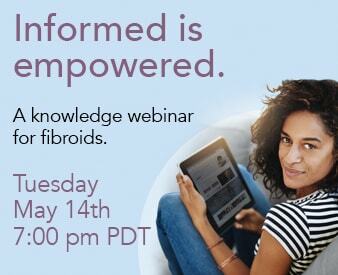 For more information about fibroids, contact us online or call 866.362.6463; Twitter @fibroiddoctor; and Facebook search Fibroid Treatment Collective.